If you subscribe to my newsletter, I gave a sneak peek of this post a couple weeks ago. 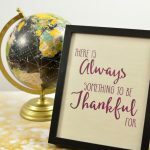 I finally got it put together so I can share with you this awesome free printable! 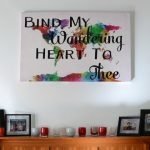 Last year I added some vinyl to a canvas watercolor map to create this “Bind My Wandering Heart To Thee” wall art. My mom saw it and commented how she wanted her own. Since this is a rather large piece, I figured she didn’t really want me to show up with a 3×4 piece of artwork for her to figure out how (and where) to hang. I decided to create a smaller version that could easily be printed and framed. I printed this picture in 11×14 and framed it for my mom’s Christmas gift, she had it hanging on the wall by the time the rest of the family arrived for Christmas festivities. Costco is so easy and awesome for printing these larger prints, I uploaded the file and a couple hours later I was able to pick it up while I was there doing some other shopping. I put it in this frame and it was a perfect gift! 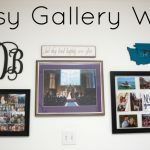 These prints would be great for displaying on a mantle, or serving as a focal point in a gallery wall. I have two different sizes available for you to download – 8×10 or 11×14. If you print out this image and use it in your home decor, make sure to send me a picture (or put it on Instagram and tag me!). Love it and I didn’t think to print at Costco! I always eat my way through that place. Thank you for the free print! Love it! This is beautiful! 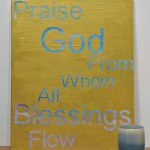 I love this hymn and this is one of my favorite lines from it. 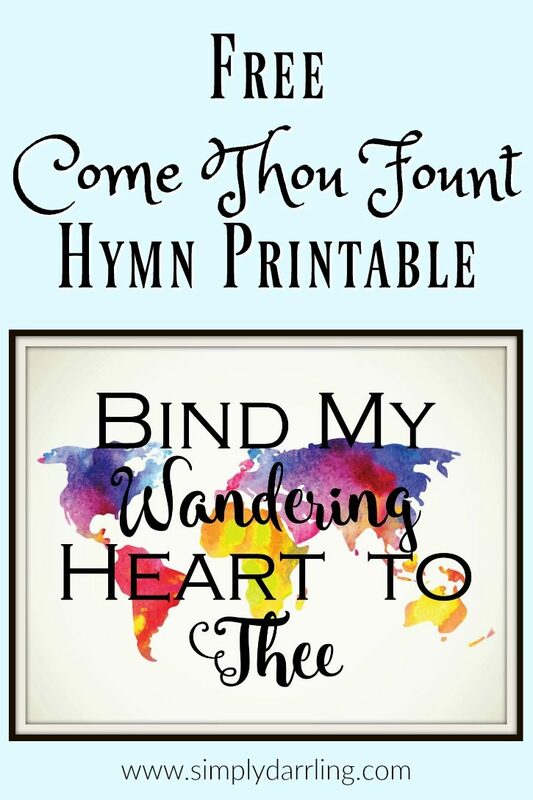 I also love, “Here’s my heart, oh take and seal it, seal it for Thy courts above.” But that is kind of long for a print, Ha Ha. I have pinned this! Love the colorful watercolor background under the saying. Really pretty. design.